Why? Because of our ideal location, mild year round weather, unspoiled sandy beaches, abundant wildlife, natural landscapes, favorable tax rates (and no state income tax on federal pensions) and a southern charm, coastal way of life that defines Rivers Edge Golf Club & Plantation in Shallotte, NC. What sets Rivers Edge Plantation Apart from other Golf Course Plantations? First, The Amazing Selection of Golf Course Homes and Homes with a Water View. Residence Club: The River Hall Residence Club features year-round swimming with indoor and outdoor pools, a state-of-the-art fitness center with sauna, and several well appointed meeting rooms for celebrations with family and friends. Play a few sets of tennis, relax in a hot tub after a round of golf, or enjoy a book from our lending library. 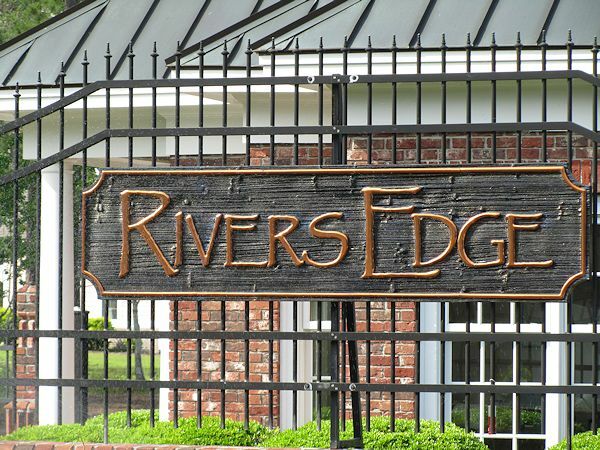 Endless choices are just a normal everyday way of life for Rivers Edge Plantation residents. Beach Club: The exclusive Rivers Edge Golf Club & Plantation oceanfront beach club, located on beautiful Holden Beach provides all the conveniences other communities dream about for Rivers Edge residents. Parking, outdoor showers, full kitchen and kitchenette, comfortably decorated sitting rooms and of course, a front row seat on the beach, makes for a great place to gather with friends and family for plenty of summertime fun. Nature Trails: With scenic walking and biking trails winding around Rivers Edge, spending time outdoors is a way of life. The 520-acres of river bluffs, mature woodlands, rolling landscapes, abundant habitats of native flora and fauna, and mild year-round climate, make Rivers Edge the perfect place to establish and maintain a healthy and abundant lifestyle. Palmer Lake: The 27-acre freshwater Palmer Lake is perfect for fishing or just watching snowy egrets and blue herons patiently seek their own catch of the day. Rivers Edge is active and relaxing…alive with life. Request our FREE Rivers Edge Golf and Plantation Discovery Package and see all the New Luxury Golf Course Homes for Sale! Call Suzanne Polino REALTOR® 910.477.1378 or just fill out the form below. Please send me my complete Rivers Edge Discovery Package including a detailed MAP of the plantation, area information, area tax rates, climate information, HOA details, and all available resale and new homes for sale in Rivers Edge Golf Plantation. Please have a Rivers Edge Golf Plantation Agent call me. I would like information on visiting Rivers Edge for a private tour. We specialize in selling and listing Rivers Edge Plantation and Golf Real Estate including; Homes for Sale, buildable land lots, Townhomes and Condo's. Let us show you why more people are choosing Rivers Edge Golf Club Plantation in Shallotte, NC to buy or build their new golf course home.